The Ultimate Ballpark Fan's gift! 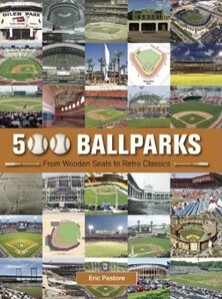 400 page beautifully designed ballpark book contains hundreds of photographs of ballparks past & present. From historical wooden ballparks to Spring Training to NCAA to the Major Leagues.